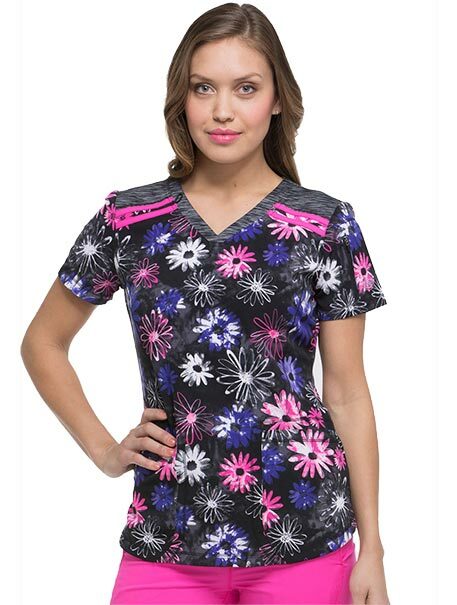 A Contemporary fit V-neck top features a space-dye knit at the neck and front and back yokes, three pockets; two front patch pockets, and a zipper sleeve pockets. Also features a tonal logo heat transfer, shirttail hem and side vents. Center back length: 26"